Links to further pages on the ski-mountaineering possibilities in the various sub-ranges of the European Alps. For information and pictures from ski tours in Europe beyond the Alps see my European Ski Mountaineering index. For more far flung areas of the world including the Andes, North & South America, China and New Zealand, see our Worldwide Ski Mountaineering index page. Austria Ötztal A great place for a beginners trip. Stubai Another good venue for a beginners trip. 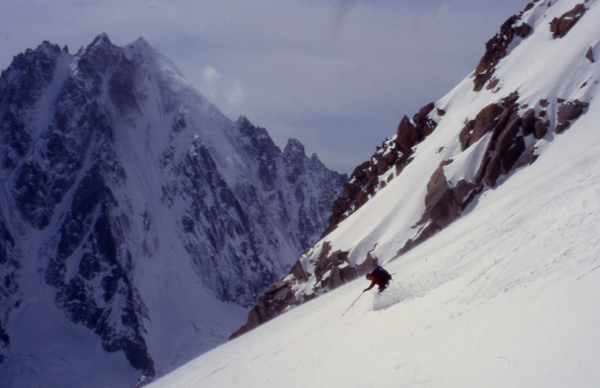 France Chamonix Area Home of the Alps highest peak and some of the most famous off-piste. Ecrins A smaller massif in France that includes the most southerly 4000'er, the Barre des Ecrins. 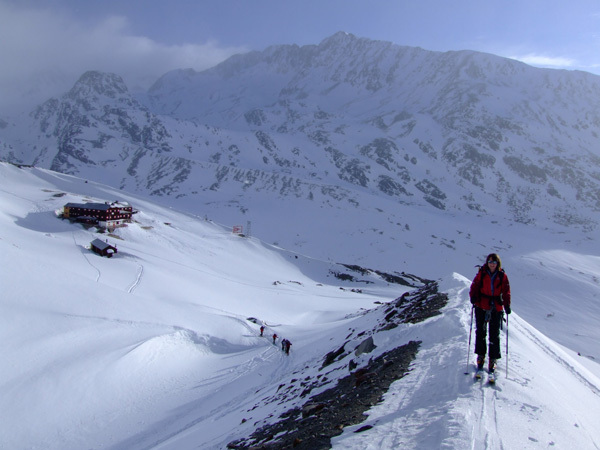 Vanoise A smaller massif in France located near the popular resorts of Meribel and Tignes. Italy Adamello A nice wee range in northeast Italy. Cottian Alps Near to Turin, including the classic Monte Viso circuit. Gran Paradiso The only 4000m peak entirely in Italy, a short trip thru the tunnel from Chamonix. Monte Rosa One of the highest and wildest Alpine massif's. Ortler A nice wee range in northeast Italy. Switzerland Albula Alps A small but interesting range in Eastern Switzerland near St. Moritz. Bernese Oberland The Alps longest glacier and the famous Eiger. Bernina Group The Bernina group in the east of Switzerland. Leaving the Vernagt Hutte early in the morning for the Fluchtkogel, Ötztal Alps, Austria.